After the success of The Monkey Goes Bananas, the silly monkey is back for another adventure. This time, he finally has his banana, but he doesn’t want to share when a playful bumblebee wants a bite! 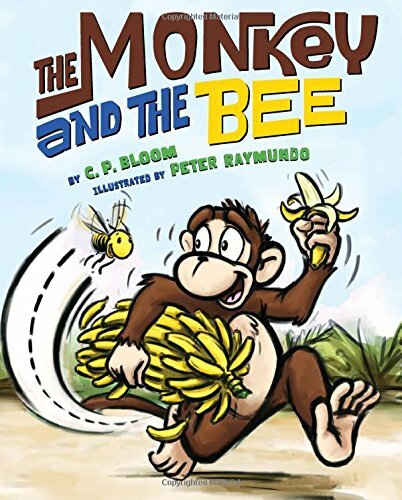 The monkey tries to swat away the bee and enjoy his banana in peace, but in the process finds himself with a much bigger problem on his hands: he’s awakened an angry lion! Will the monkey and the bee work together to escape the king of the jungle? Full of energy, surprise, and strong visual storytelling, The Monkey and the Bee will once again charm readers with its fast-paced humor and high jinks. If you have any questions about this product by Abrams Books for Young Readers, contact us by completing and submitting the form below. If you are looking for a specif part number, please include it with your message.